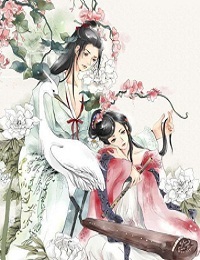 The Chinese of This Chinese Story "Land Of Idyllic Beauty--Tao Hua Yuan Ji" is 桃花源记. In eastern Jin Dynasty in China, there was an old fisherman in Wu Ling district. One day, he went fishing on a fishing boat. The boat was floating along a stream. The fisherman, unconsciously, lost his way. Suddenly, a beautiful forest of peach trees, with flowers in full bloom, caught his eyes. Curiously, he went on boating to look for the end of the forest. At the end of it stood a mountain with a small cave on the foot. After the fisherman walked through the cave, a whole new world actually displayed in front of him. People there were leading a peaceful and happy life: they got along with each other harmoniously and did not argue，dispute. The old were having rest quietly and the young playing. It was not like the outer world, it was a world free of turbulence. On seeing the fisherman, people asked him not to tell what he saw there to others. However, the fisherman told the villagers his experience after returning home. They did not believe him at all and they followed him to see whether it was true. But they cannot find the place anymore. The idiom is used to describe a secluded and peaceful utopia.